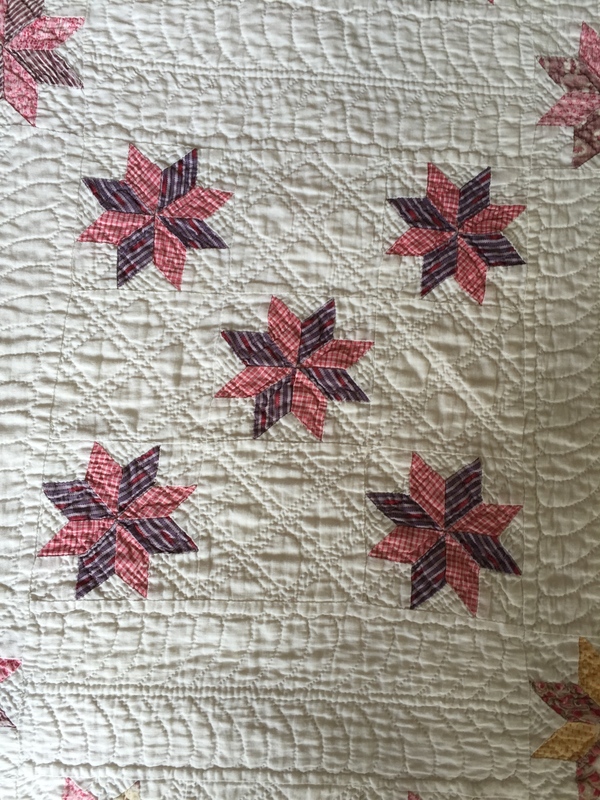 The maker of the LeMoyne Star Quilt was skilled in both piecing and quilting. The three inch LeMoyne Stars are constructed from eight tiny diamond pieces measuring approximately one inch in length. 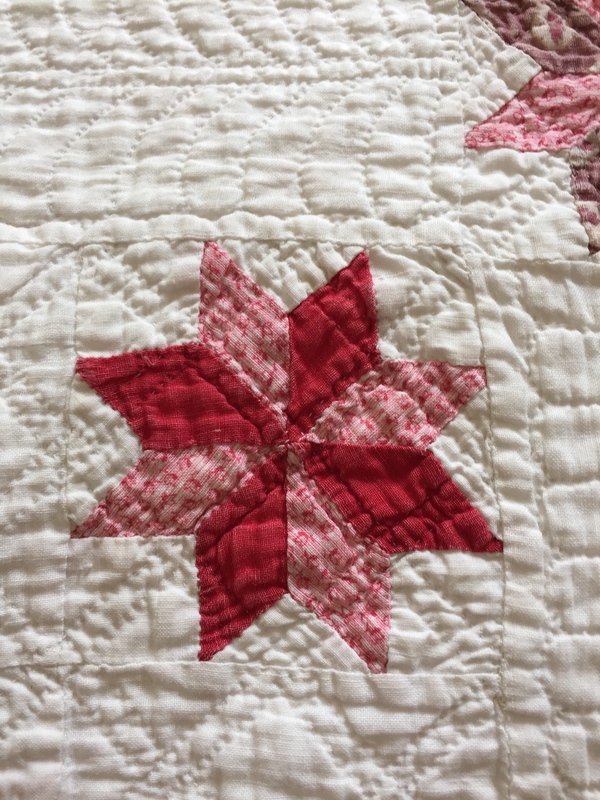 There are 345 stars in the quilt. Each star is accurately stitched with nice sharp points and the centre seams aligned perfectly. The stars are stitched into a nine patch configuration and are set with three inch wide lattice strips. More LeMoyne Stars are placed as the cornerstones. Two plain borders were added with the remaining two borders made up of the lattice strips and star cornerstones. The quilting is remarkable in both design and execution. The quilting consists of double cross hatching and feathers. There are 12 stitches to the inch, counted on the right side of the quilt. The batting is a lightweight cotton. Unfortunately some of the fabrics used to piece the stars are extremely fragile and showing signs of wear. This could be due to corrosive substances that were used in the dyeing process at this time. 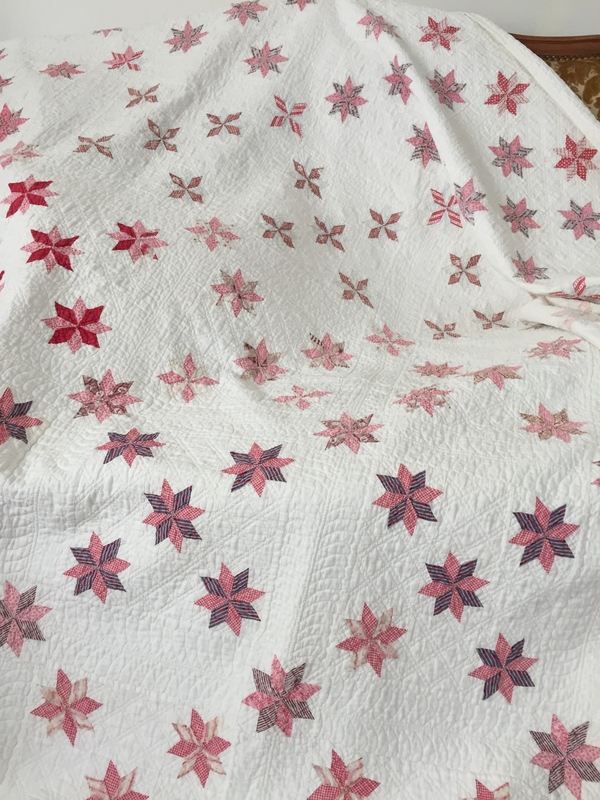 The white background fabric and the quilt backing are in excellent condition. I will eventually stabilise the weakened areas with tulle. Despite this problem the quilt is still a beauty. 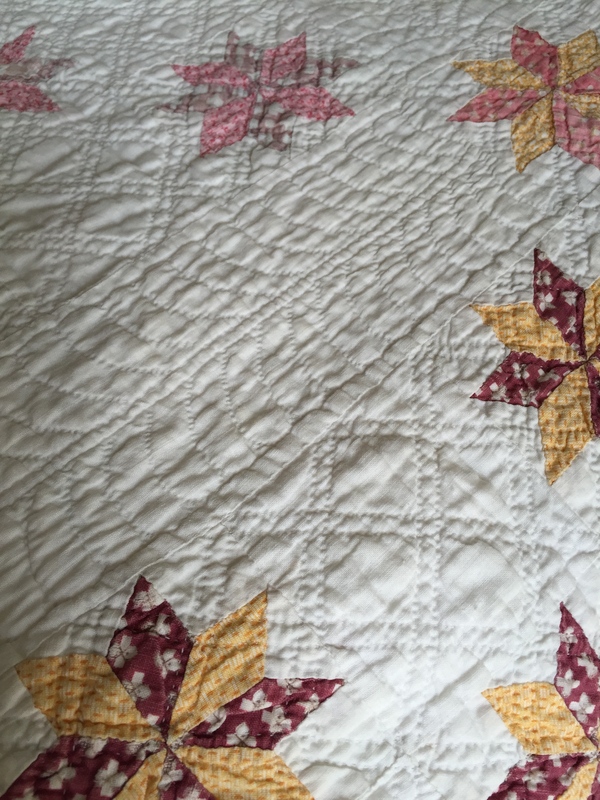 One can only wonder at the ability of this quilt maker to accurately stitch this intricate design with out the benefits of the sewing accessories available to quilters today.